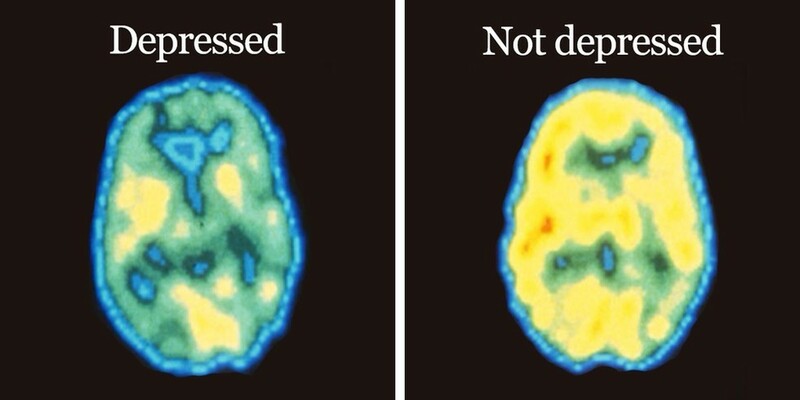 New Research Says Depression Is Not A Choice, It's A Form Of Brain Damage. Home » Health » life » truth » New Research Says Depression Is Not A Choice, It's A Form Of Brain Damage. Published in Molecular Psychology, the study surveyed an unprecedented 9,000 individual samples. No testing sample has been this large, so the results proved the theory of depression's true cause and effect. It governs the creation of new memories, the formation of long term memories and spatial navigation. It is located in the medial temporal lobe of the brain aka the center of the lower middle part of the brain. "Your whole sense of self depends on continuously understanding who you are in the world – your state of memory is not about just knowing how to do Sudoku or remembering your password – it's the whole concept we hold of ourselves... We've seen in a lot of other animal experiments that when you shrink the hippocampus, you don't just change memory, you change all sorts of other behaviors associated with that – so shrinkage is associated with a loss of function." As the hippocampus shrinks, your memories can become more negative, making your expectations for the future just as bleak. It becomes a cycle of self fulfillment. There has been concrete experimentation revealing how mediation and yoga can thicken brain tissue and develop new neural connections.